édité le 21/06/2018 - Plus de news de "OKEA" - Voir la fiche entreprise de "OKEA"
OKEA AS, the oil and gas production and development company on the Norwegian Continental Shelf (“OKEA”), founded by management and Seacrest Capital Group, is pleased to announce it has entered into an agreement with A/S Norske Shell to acquire working interests in the Draugen (44.56% – Operator) and Gjøa (12% – Non-operator) fields for a total consideration of 4.52 billion NOK (~$566 million). 80% of decommissioning financial liabilities will remain with Shell up to an agreed cap. - OKEA estimates to acquire net daily production of c.22,000 barrels of oil equivalent from January 2018. According to Woodmac, on completion OKEA would rank 19th on the NCS in terms of daily production in 2018. - OKEA’s net resources to increase from 11 to 53 million barrels oil equivalent. - Significantly enhances operating capability of OKEA with operations centre in Kristiansund. - Includes tax balances of c. 1,9 billion NOK. The deal is subject to government approvals, with completion expected by the end of the year and the effective date for the transaction January 1st 2018. OKEA was founded in 2015 and is headquartered in Trondheim. OKEA specializes in small and mid-sized developments on the NCS. Turning the Yme from decommissioning to redevelopment has proved the OKEA business model. The acquisition of the ready-to-relinquish Grevling discovery, now in planning for development, underlines the need for a specialized lean development and production company to fulfil the value and resource potential on the NCS. OKEA is the operator on Grevling and has recently assigned a working interest to Chrysaor. The Draugen field was the first Norwegian Sea development and has been a flagship asset for A/S Norske Shell over the last 25 years. OKEA has the ambition to extend field life into the 2040s through continued focus on cost efficient operations, additional resources within the licence and near field exploration. The Gjøa field is a highly productive field with stable production, substantial subsurface upside and several tie-ins both committed and expected that will extend field life and value. Kristiansund will be established as OKEA’s centre for operations on the NCS, not only for Draugen, but also for all future operated fields. Going forward, this will also represent further opportunities for the service industry already established in Kristiansund. 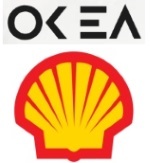 During the transition period OKEA look forward to working closely with Shell and its staff to secure safe and prudent operations and a successful transfer. OKEA will assume staff from A/S Norske Shell as a part of this transaction both in Kristiansund and Stavanger, and obviously, the offshore crew on Draugen. In addition to the involved assets, these staff will play a key role in OKEA’s future development and operations on the NCS. The transaction will be financed through a combination of underwritten bond loan and equity. Bangchak Corporation PCL, a Thai downstream oil and gas company, have entered into a strategic partnership with Seacrest Capital Group, and together they will finance the acquisition. Henrik Schroder, Chairman: “The combination of robust production assets, a strong pipeline of new development projects and leveraging OKEA’s focus on cost effective development of smaller fields, positions OKEA as a significant and unique player on the NCS. Voir la fiche entreprise de "OKEA"
Les dernières news de "OKEA"